Minister for Transport and Infrastructure Andrew Constance and Minister for Skills John Barilaro today announced eligible NSW apprentices and trainees can now access all-day cheaper fares on public transport as the Concession Opal card is rolled out to thousands more customers. 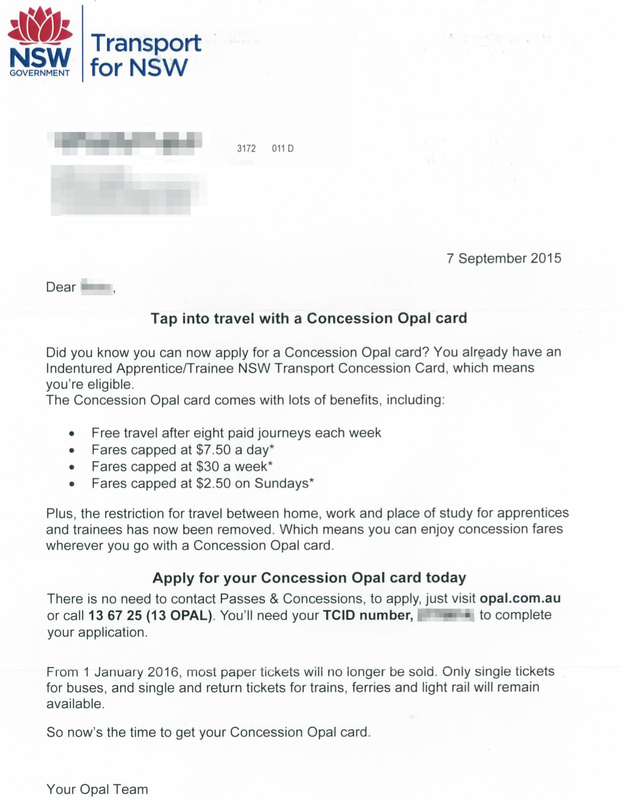 From today, eligible apprentices, trainees and TAFE NSW students can now apply online for a Concession Opal card. “Apprentices and trainees are currently only able to access concession fares when travelling between their home, workplace and place of training, but from today we’re lifting those restrictions,” Minister Constance said. 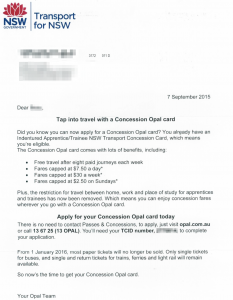 Transport for NSW is also posting letters out to apprentices and trainees, inviting them to apply for a concession Opal card, and even including the relevant number used to confirm eligibility making it as easy as possible.